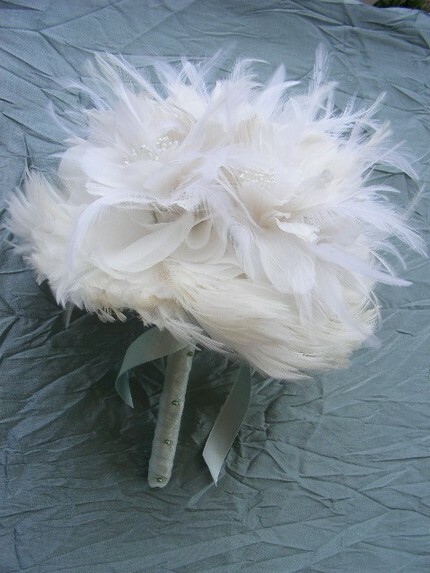 Flowers are the traditional choice for bridal bouquets, obviously, but they aren't the only choice. And I'm not talking silks. Whether because of allergies, or because you want to keep the bouquet as a keepsake, or just because you love the look, there are plenty of innovative, beautiful options for bouquets that don't include a single flower. 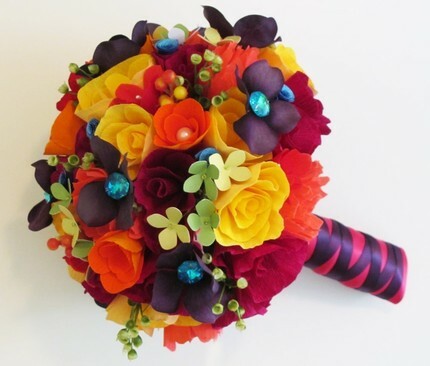 Or how about this paper bouquet, available on from seller Desicra on Etsy? 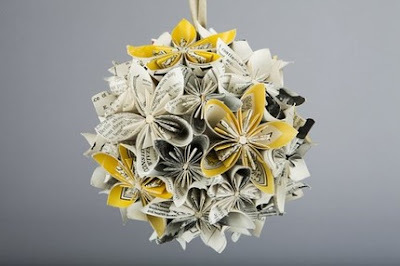 Or this incredible paper pomander ball/bouquet from Etsy seller WhetherPaperworks. 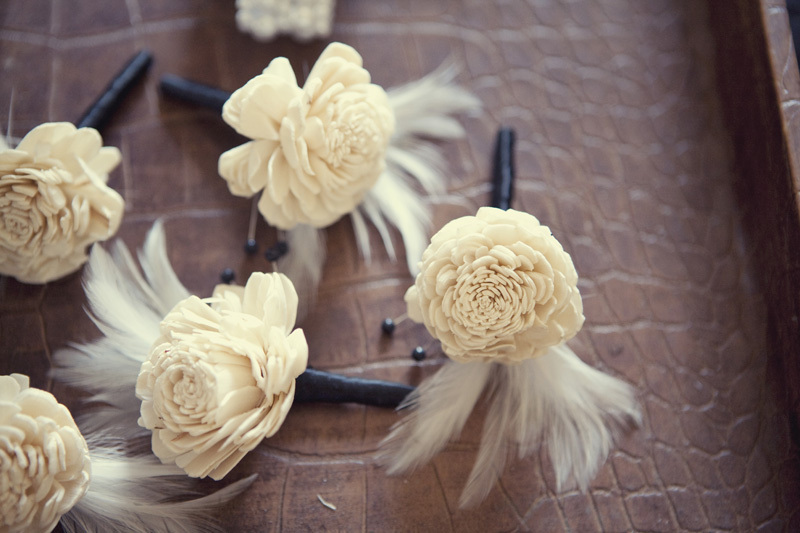 As cool as realistic paper flowers are, I'm completely in love with how they embraced the medium and used paper printed with text to make these gorgeous flowers. 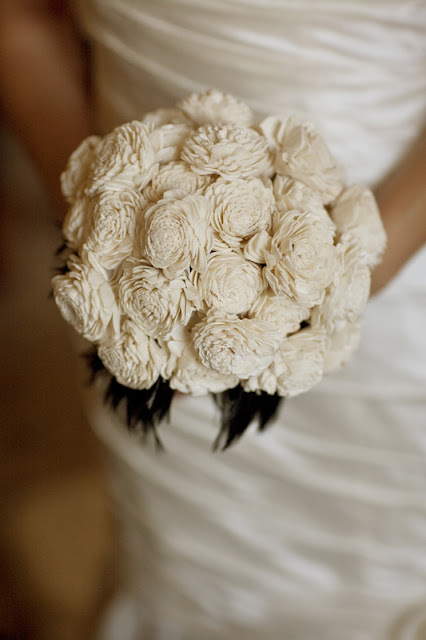 And last, but certainly not least, this incredible balsa wood bouquet from the amazingly talented team at JL Designs. Check out the rest of this gorgeous wedding on their blog. It's definitely worth the click. 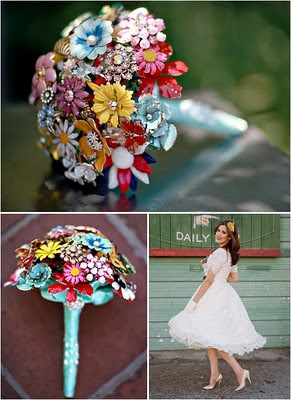 And of course, we here at Tradewind Tiaras are happy to make you a bouquet made entirely out of Swarovski crystals. Talk about sparkle! An heirloom, a convenience, or simply a thing of beauty, a non-conventional bouquet can be a marvelous choice.